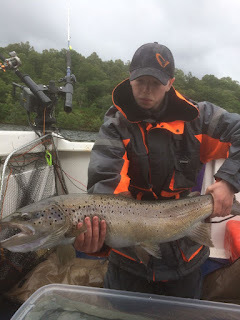 Fishingmegastore Fish of the Month Entry June 2017 - Highland Ferox! Keila Masson with his PB Ferox Trout, caught while trolling in a Highland Loch. The fish was safely returned after a quick pic!